With “a special ability to present touching interpretations” (El Norte), Brazilian pianist Ronaldo Rolim is a prominent figure among the newest generation of outstanding musicians. Acclaimed for his “consummate elegance” (New York Concert Review) and “mastery of phrasing, agogic accents, and dynamics” (Oberbaselbieter Zeitung), he has performed extensively over four continents in such venues as Carnegie Hall, Zurich’s Tonhalle, London’s Wigmore Hall, the Great Hall of the Liszt Academy in Budapest, and Beijing’s National Centre for the Performing Arts. Mr. Rolim is a winner of Astral Artist’s 2017 National Auditions and has captured top prizes at numerous international competitions in the United States, England, France, Italy and Switzerland. A passionate advocate of chamber music, Mr. Rolim is the founding member of Trio Appassionata, formed in 2007 with violinist Lydia Chernicoff and cellist Andrea Casarrubios. The release of its debut album gone into night are all the eyes, featuring piano trios by American composers, presented “music-making as impressive and dangerous as a granite cliff” (International Record Review). Mr. Rolim has performed with the Tonhalle Orchester Zürich, Musikkollegium Winterthur, Concerto Budapest, Phoenix Symphony, and the Royal Liverpool Philharmonic Orchestra, as well as many of Brazil’s foremost ensembles. A frequent presence at international music festivals, he has been featured in solo recitals and chamber music performances at numerous festivals worldwide. 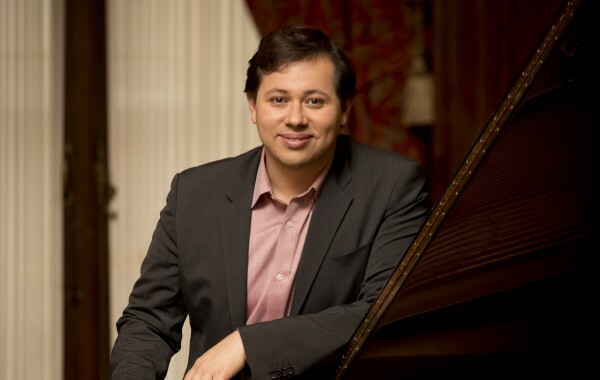 He has been featured in several radio broadcasts and television programs in his home country, including Brasil Piano Solo, a series of recitals dedicated exclusively to Brazilian music, presented by the TV Cultura Channel.